This week’s decision represents a change in tone by school board members, who defended the program in November. Last month, Assemblywoman Lorena Gonzalez Fletcher introduced legislation to stop the practice. San Diego Unified will no longer send debt collectors after parents who are late to pay their children’s school bus fees. Parents who don’t qualify for free busing will still have to pay $500 a year to get their kids to school on the bus, but a decision the San Diego Unified school board made this week means district staff will collect fees instead of an outside debt collection agency, with which the district has contracted since 2011. The decision comes two weeks after Assemblywoman Lorena Gonzalez Fletcher introduced the Primary Education Fair Debt Collection Act, which would prohibit public schools from using debt collectors to collect overdue bus fees — or school-related fees of any kind. 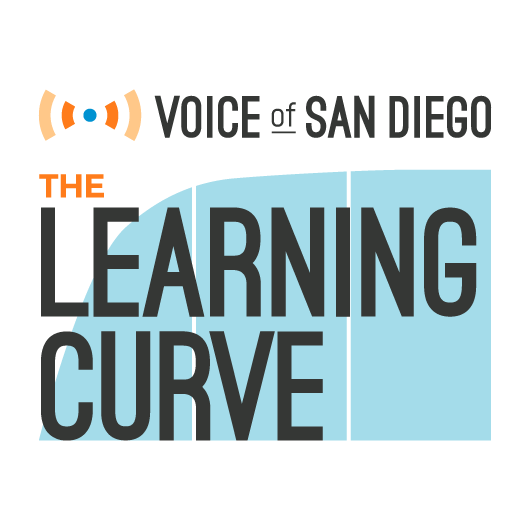 In a January press release, Gonzalez Fletcher cited a recent Voice of San Diego story revealing that in the 2014-2015 school year alone, the district referred 380 parents to a collections agency for debts that ranged from $10 to $500. Collections agents can send parents letters, call them on the phone, or threaten legal action if bus fees go unpaid. Having accounts sent to collections can negatively impact parents’ credit scores and make it harder to secure loans or housing. California is one of 12 states that allows — but doesn’t require — school districts to charge parents school bus fees. San Diego Unified is unique, however, in contracting with a collections agency to recoup fees. Trustee John Lee Evans said at this week’s board meeting that the decision to hire a debt collection agency goes back to the budget crisis of 2011, when the district scrambled to figure out how to provide transportation with its limited budget. “We reluctantly (made the decision) because of the budget crisis that we faced at that time,” Evans said. But he also blamed the state for forcing the district’s hand by not providing adequate funding. “I would put a challenge to the state legislature to not put us in this position in the first place, where we have to find nickels and dimes under every corner to fund our schools, to transport our students and provide the materials we need,” Evans said. Three current trustees — Evans, Richard Barrera and Kevin Beiser — were on the school board when the district first made the decision to contract with the debt collection agency. The board renewed the contract with Transworld Systems Inc., a Delaware-based collections agency, three separate times, including as recently as October. This week’s decision represents a change in tone by school board members. Even as Beiser expressed support this week for the decision to stop using debt collectors to recoup fees, he noted that 75 percent of current riders use the bus for free, meaning only a small share — 25 percent of riders — are subject to fees and debt collection agents. Students who have disabilities and those who qualify for free lunch don’t have to pay bus fees — but that doesn’t mean any student who qualifies for free lunch automatically gets a free ride to school. It means they qualify for free transportation where busing is available. And for an increasing number of students, no buses are available at all. In the past seven years, the district has slashed its busing program by nearly half. In 2010-2011, the district ran 2,300 bus routes and transported 17,500 students daily. This year, it’s down to 1,439 routes moving 9,330 students a day. While citizen watchdog Sally Smith lauded the school board’s decision this week, she also pointed out that $500 can be a hefty sum for families even if they don’t qualify for free lunch. “While you applaud yourselves for providing free transportation for those that qualify for free and reduced lunch, we all know that that threshold is very low, and in San Diego there are still very poor families that do not meet that threshold,” Smith said. So far, most of the conversation has focused on the costs of busing and the ethics of using debt collectors to recoup them. But there’s also a more pragmatic side to the conversation that isn’t being discussed: Providing transportation could actually boost enrollment. In 2011-2012, the year after the district first instituted bus fees, 4,000 students lost access to buses. Of those 4,000 kids, 9 percent left the district altogether, according to the district’s numbers. Jan Perry, director of America’s Finest Charter School, believed transportation was so critical to her school’s enrollment that a couple years ago, after the charter school changed locations, the school purchased a bus to get students to school. Eventually, they hired a full-time bus driver. The investment paid off, Perry said. The bus allowed them to hang onto many of the students who would have likely transferred schools once the charter school moved to a new location. Today, the bus transports 60 to 70 kids a day. Because funding is tied to enrollment, each student a school hangs onto helps their bottom line. Few charter schools operate buses, but many — like The O’Farrell Charter School and High Tech High — offer free bus passes to students who qualify. 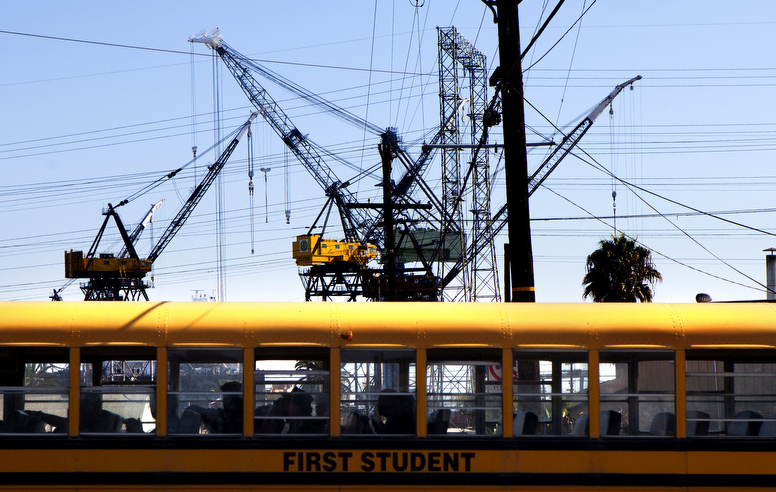 And as San Diego Unified continues to lose students year after year, district leaders may want to rethink the ongoing cuts to its transportation department. This week, Voice of San Diego launched our first issue of A Parent’s Guide to Public Schools — a free, magazine-style guide to help families make informed decisions about their children’s education. The Guides delivers an overview of every public school’s performance in easy-to-read charts, and tackles questions like: What a charter school is, how school choice works and which schools offer dual immersion or International Baccalaureate programs. Pick one up at your local library or download a copy. It’s available in English and Spanish. Dozens of angry students and parents showed up to this week’s school board meeting to sound off about a controversial cartoon published in the student newspaper at La Jolla High. The illustration features caricatures of students drawn in racial stereotypes. Some students went so far as to call for the principal, Chuck Podhorsky, to be fired. Facing pressure from the community, school board members called for an investigation into the incident and how the cartoon was published in the first place. La Jolla High’s student newspaper has a faculty advisor, but as of Thursday a district spokesperson couldn’t say whether an adult had approved the cartoon prior to publication. While the point of the cartoon isn’t at all clear, it may have been a satirical nod to a recent H&M ad that featured a young African-American child in a sweatshirt that read, “coolest monkey in the jungle.” That ad drew fire across the internet and cost H&M business partners. No doubt offensive to many, the cartoon raises more complicated questions about the limits of free speech — something La Jolla High has a long history of confronting. In 2011, after the school’s principal attempted to remove “senior benches” that contained controversial political messages, the ACLU said the school was trampling on student’s freedom of expression. A year later, the ACLU and San Diego Unified agreed to a settlement that included an updated policy strengthening the free speech rights of all district students. The principal of Bird Rock Elementary has taken a leave of absence after parents leveled a number of allegations at her. They alleged that she directed a teacher not to report inappropriate student-on-student touching observed by a parent volunteer, and that she promised gift cards to teachers if they wrote their names on forms evaluating her performance. A letter sent by Area Superintendent Mitzi Merino said the principal will “be taking some time off to spend with her family,” effective immediately.